Greatest 2D Platformer of all time? With newer Super Mario titles such as the excellent Super Mario 3D World and the masterful Super Mario Galaxy series, I’ve noticed that the true challenge arises when attempting to collect every last power star and comet coin, encompassing an optional increase in difficulty for those who yearn for it. This design decision made these games more accessible to a wider array of gamers as the standalone act of completing levels, with the exemption of some of the later levels, is not necessarily a difficult task to achieve. 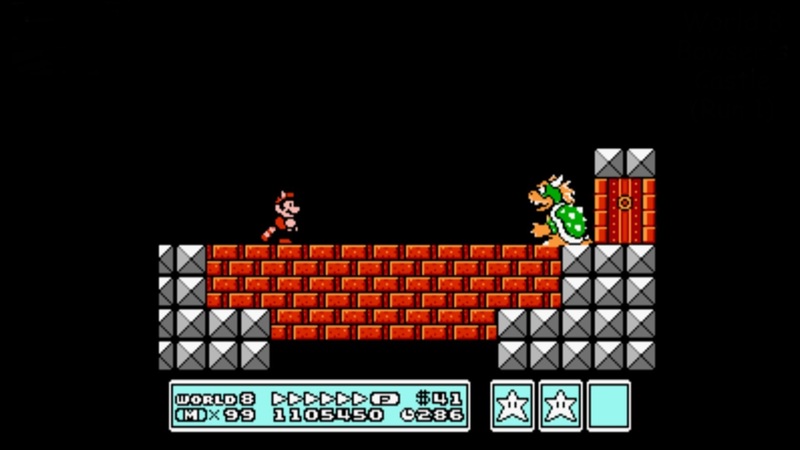 Super Mario Bros. 3 is challenging through and through; the sheer act of simply completing a level can be downright punishing at times. However, you are given the necessary tools such as extra 1-ups and helpful power-ups to successfully complete each level, so despite how difficult Mario 3 may be, it’s also unbelievably fair. Mario 3 relies heavily on its platforming precision and this will undoubtedly result in many player faulted deaths, but it’s that very difficult, but never unfair, game design that enhances its already addictive quality. Triumphantly completing the many challenging levels of Mario 3 is a genuinely rewarding sensation, permitting a moment to pause for a sigh of relief. Super Mario Bros. 3’s flawless level and game design is apparent right of the bat with World 1-1, with having no real tutorial, thus encouraging the player to learn from trial and error. As always, Mario has a slew of power-ups which allow each level to be played in a different manner. Eating a fire flower will transform Mario into Fire Mario, letting him throw fireballs, annihilating all that stand before him, taking an offense approach or you could grab a frog suit, which will allow Mario to swim faster and leap larger distances, allowing him to easily evade his enemies. 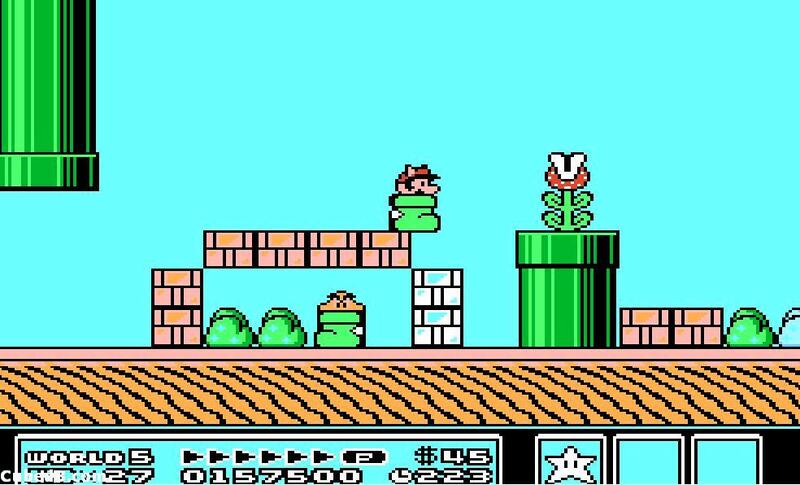 Levels are jam-packed with secret goodies and locales and with the introduction of the Super Leaf, which allows Mario to transform into Raccoon Mario and to temporarily fly, Mario is now given the ability to reach, what would normally be, inaccessible areas, thus making exploration more prominent in Mario 3. 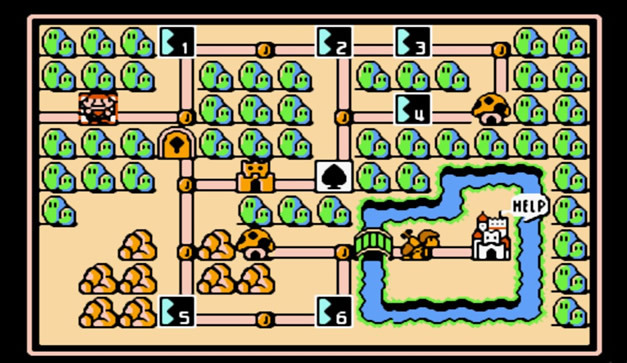 The revolutionary world map and themed worlds have become staples of the Super Mario series and have been tweaked and improved with each iteration; seeing just how much the Super Mario series has grown is nothing short of astounding, but you must respect the fact that diverse locales and an accessibly, player controlled map would not have been possible today if it weren’t for Mario 3. Despite Mario 3 being over two decades old, it still manages to look great and its excellent music is just as infectious as ever. I purchased Super Mario Bros. 3 on the 3DS eShop for $5, one of the greatest games of all time for only $5, that’s the glorified definition of a steal. Being able to take Mario 3 on the go with me was a perfect experience; being on a smaller screen, the visuals were significantly crisper, and the game works seamlessly as a pick up and go experience, completing levels while on the bus or while waiting for an appointment, it truly catered to and enhanced its addictive nature. The Virtual Console also allows you to create save states, easing the pain ever so slightly. Flawless level design, excellent precision controls, and a great rewarding sense of challenge, Super Mario Bros. 3 is undoubtedly a staple in gaming and truly showcases the high-quality that Nintendo can achieve. When you boil it down, games really need to be one thing, and one thing only: a video game needs to be fun. Super Mario Bros. 3 (along with the Super Mario series as a whole) is some of the most unadulterated fun that gaming has to offer and if you’re a fan of video games in any shape or form, you owe it to yourself to experience this masterpiece as Super Mario Bros. 3 is praised as one of the greatest 2D platformers, no greatest games of all time, and that praise is 100% warranted. Great review buddy! Nice to see you writing again, been a while since I’ve seen you post. Great review for an all-time great. This, along with Super Mario World and the old Mega Man titles, are my earliest gaming memories. For me, Super Mario World has always been the better game (it’s not as difficult as SMB3, but its imagination is untouchable). But Mario has a tendency to make “greatest games of all time” seem surprisingly frequent, and although that trend started with SMB, Super Mario Bros. 3 is that defining point that said Mario was here to stay. Yes Super Mario World and Super Mario 64 are next on my to do list! So I am extremely anxious to give them a go! Especially 64 as it practically revolutionized the Super Mario series, but I’ve heard nothing but amazing things about Super Mario World. Thanks for the comment as always!! Talk about a game that will never get old. Super Mario Bros. 3 is my favorite NES game. In hindsight, it’s amazing how much of a step forward it was from the original. It also has what is so far my favorite multiplayer component in any Mario game. It’s like an intricate board game where you can either cooperate with a friend to complete the levels or compete against them to get more points (and potentially steal their cards in the process). Absolutely agree! I know Scott from WizardDojo would disagree, but Super Mario Bros. 3 is also my favourite 2D Mario title. The level design is honestly second to none and it’s downright challenging!